Share your ideas like magic. Plug and show. As many IT departments struggle to keep up with yearly technology changes, company employees increasingly want to use their own devices to access corporate data. It's part of a growing trend dubbed Bring Your Own Device (BYOD). Bringing your own device to work though carries with it it's own set of security issues and problems. We provide solutions to allow employees to use their own devices to share and collaborate in new ways that wasn't possible just a few years ago. 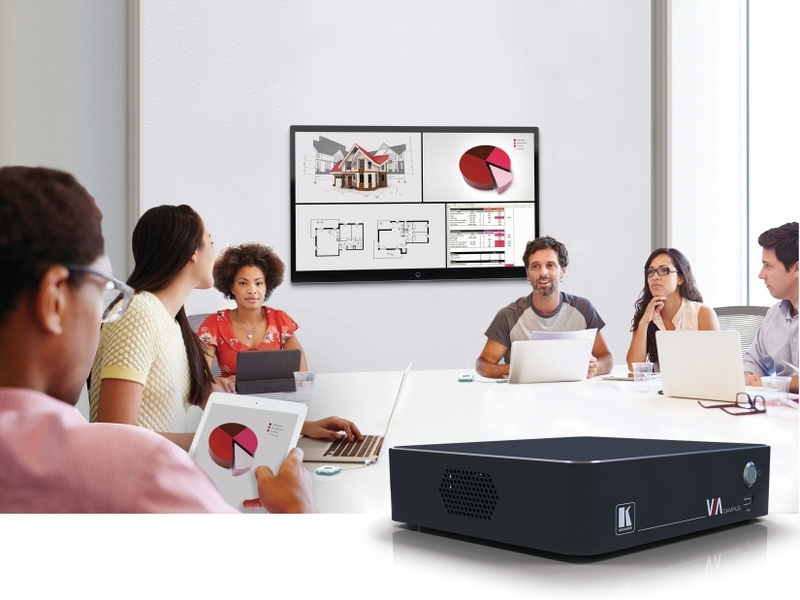 Share safely and securely and bring your presentation or meeting to life. The three main solutions that we provide and support are Kramer VIA, Barco ClickShare and Crestron AirMedia. These 3 products are the world leaders in wireless collaboration in the corporate and education sectors.